If there’s one thing that kids love, it’s dressing up like their favorite characters. Every Halloween, there are tons of children who want that special costume. 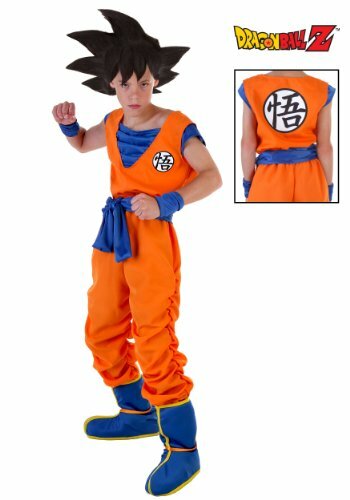 Some of the popular characters kids want are based on the ones from the animated series, Dragon Ball Z.
Goku is one of the popular characters in the series and you can find a few different versions of this costume. One of them is the bright orange colored jumpsuit. This suit is a sleeveless one and has a layered blue material inset at the v-neck part of the costume. There is also blue on either side of the orange jumpsuit sleeves. This makes it look like the jumpsuit is over a shirt, but it’s not. The orange and blue material are sewn together. 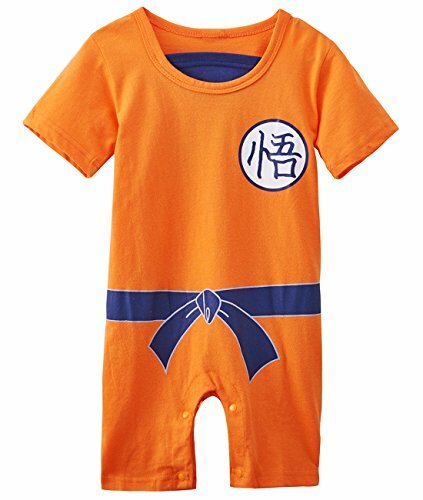 Blue wristbands in the same color as the material underlay of the jumpsuit are included with this costume version. 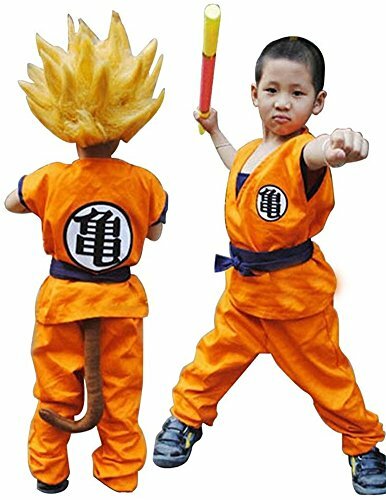 A belt made in the same color and in a soft material comes with this costume and the child just ties it around the waist to fit it. Blue boot tops that are trimmed in yellow are included. These are soft and can’t be worn without shoes. 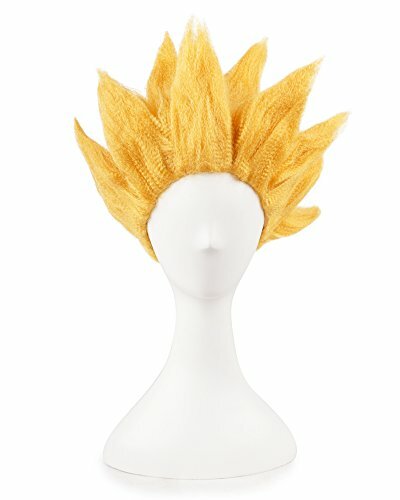 One of the standouts to the Goku costume is the spiked wig. This wig has the spikes that stick out on the sides of the head at an angle rather than straight up. You can’t buy this as part of the costume, but you can purchase it separately. You can find a similar example of this costume in an adult size if you want to wear one. Instead of coming as a jumpsuit, though, this costume has a shirt and pants that are separate pieces of the outfit. There are actually two shirts to the adult costume. The dark blue shirt is a plain round collar T-shirt and the orange one is v-neck over-shirt with the show emblem on the left hand side. There is also a toddler version of this costume available. 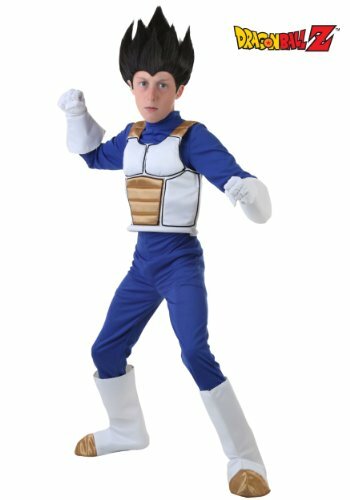 If your child is a fan of the Vegeta character, that one is available as well. This costume is also a jumpsuit. Instead of the bright orange, the color is dark blue. This costume has a vest over the top that’s white – except for the centerpiece and the straps. These are both done in a gold color. The white gloves with the wide A-line bottoms are included with this costume so you don’t have to buy those separately. There are soft shoe covers included that are white and have the gold tips on each end. The wig does not come with this costume either. 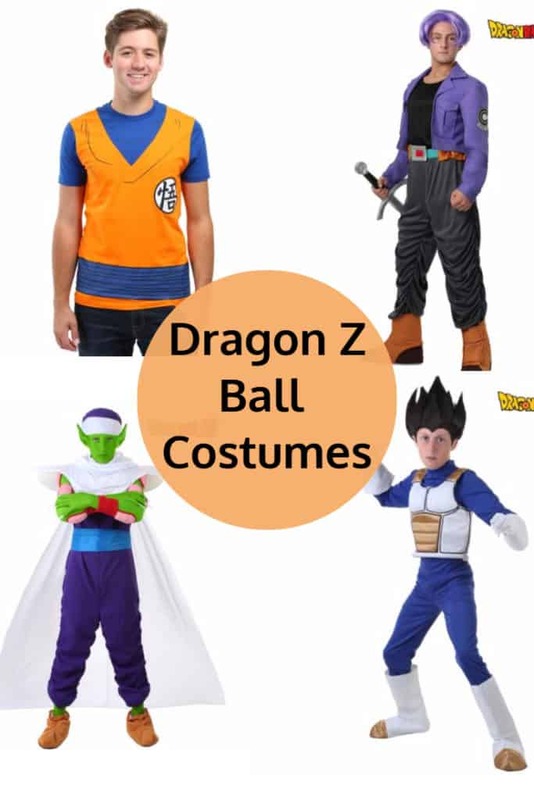 If a Dragon Ball Z costume is on your list of Halloween costumes to consider, better shop early so you find the right size for your family’s needs. 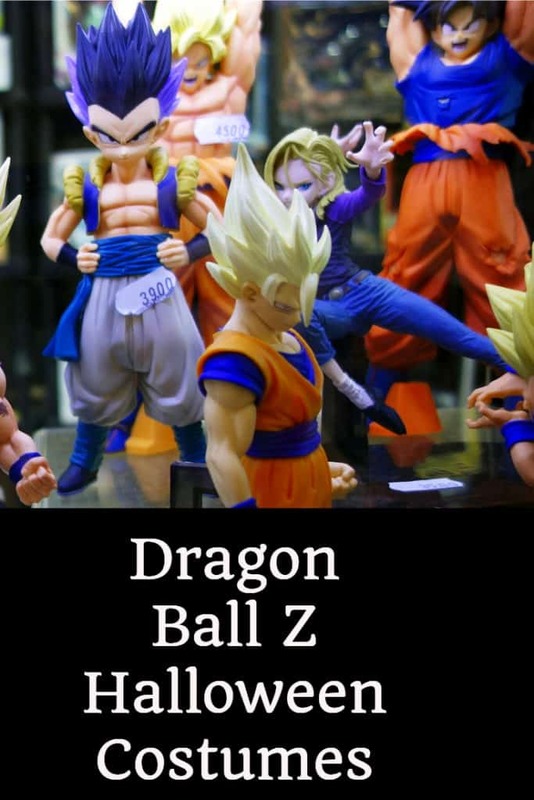 I’m trying to find a costume of Dragon Ball Z Cooler. Do you have that costume? I can’t find it anywhere? So sorry but I can’t find a Cooler Costume either! Good luck with your search.